The Bharatiya Janata Party (BJP) has sent a legal notice to the Bahujan Samaj Party (BSP) supremo Mayawati for including gangster-turned-politician Mukhtar Ansari and his brother in her party. BJP leader Ashok Singh, who is the witness to the murder of Manna Singh, a local contractor allegedly killed by Ansari's gang in 2009, has sent the notice to the BSP chief. Singh will also file a complaint against Mayawati with the Election Commission on 30 January. 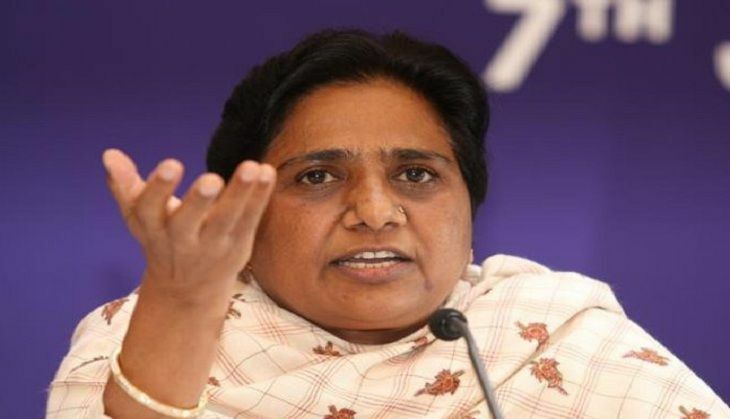 Mayawati, had on 26 January announced that four-time MLA Ansari, will contest the Uttar Pradesh elections from the Mau assembly constituency on BSP ticket while asserting that the latter is being taken back in the party as the allegations against him have not been proved yet. The gangster-turned-politician's son Abbas and brother Sibgatulla have also joined the party and they will be contesting the elections from Ghosi and Mohammadabad assembly constituencies respectively. The MLA had earlier won a seat from Mau in 1996 on a BSP ticket. Ansari, who is currently lodged in Lucknow jail, was the prime accused in the Krishnanand Rai murder case, and has pleaded not guilty. In 2010, Ansari was also booked for the murder of Ram Singh Maurya, who was a witness to the murder of Manna Singh.